This past Saturday could not have been more perfect for the Hubbub Festival at Copley. 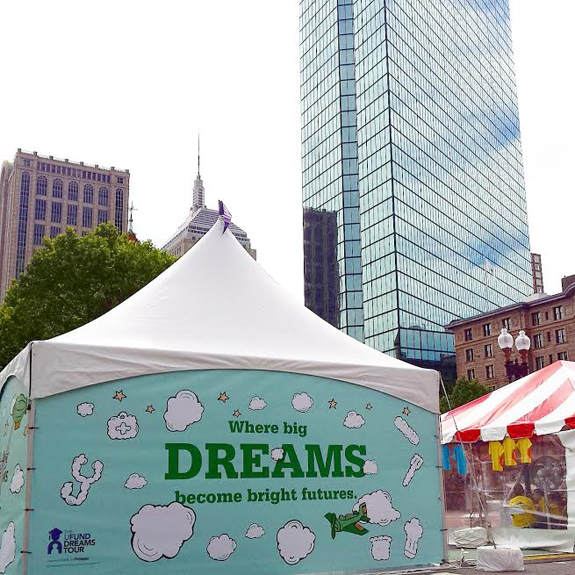 Amidst the games, music, and many colorful booths at Hubbub, the MEFA/Fidelity U.Fund Dreams Tour tent enjoyed a fantastic location at Dartmouth and Boylston. At the booth, kids were able to enjoy engaging, interactive activities while parents were able to learn more about college savings plans -- all set within the context of dreaming big (alongside adorable sheep cartoons!). While I was at the booth, the below sign (pasted on the back of one of the sheep) caught my eye. 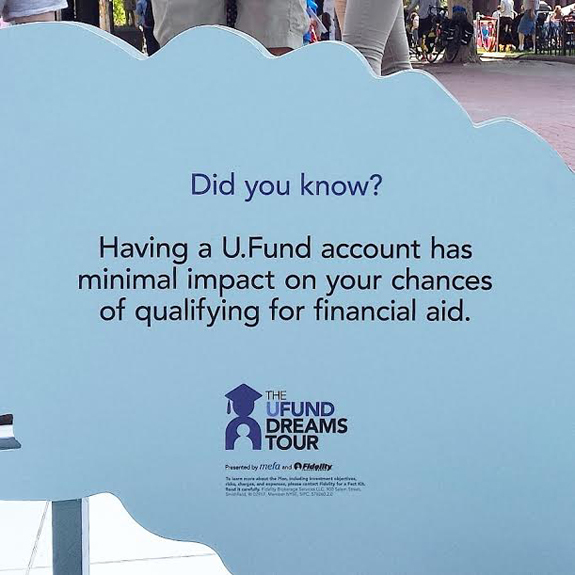 There are so many myths about the college savings process, and this “did you know?” fact helps debunk one of the biggest concerns I hear from parents. I know (too well) how easy it is to fall back on myths. My parents definitely had a lot of skepticism and suspicion concerning anything financial, and of course they had the added strain of raising seven children. The joint impact of these two things meant that by the time I went to college (I was 6th in line), resources were scant, and I was cut loose financially after my freshman year. This was beneficial in some ways (I learned all about work ethic in a hurry) but incredibly stressful and difficult in others (cue ugly tears at the financial aid office). While I’m grateful to have attended college, I’m certain I missed out on a lot of the benefits of the college experience by virtue of the fact that the financial stressors colored, well, everything! So interesting, right? Don’t let this myth -- or any of these other college savings myths -- create a barrier for you taking action towards college savings. My post last year on 5 (totally not scary) ways to get college savings savvy offers really simple, tactical ways to get your head around the college savings process. For further details and to open an account, visit Fidelity’s 529 Plan page.